Do your students ever struggle to grasp what exactly constitutes evidence or struggle to see how it applies to practice? Would you like them to feel more confident about critiquing evidence? 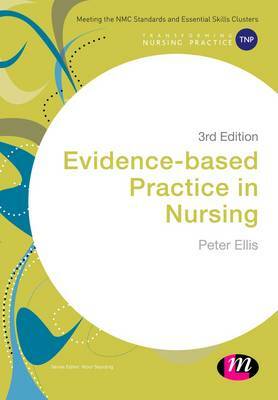 The need for an evidence base for nursing practice is widely accepted. However, what constitutes evidence and how nurses might apply it to practice is not always clear. This book guides nursing students through the process of identifying, appraising and applying evidence in nursing practice. It explores a wide range differing sources of evidence and knowledge, and helps students to develop key skills of critiquing research and using evidence in clinical decision making.